I have incredible respect for Jimmy Kimmel for baring his soul in front of millions of people and crying unabashedly at the thought of losing his infant son. Kimmel’s son was born with a congenital anomaly called Tetralogy of Fallot which causes a lack of oxygen to reach the lungs. The story had a happy ending because the problem was corrected with a surgical procedure. Thomas wanted to attend medical school but never had the opportunity. However, he would eventually become a surgical technician at Johns Hopkins School of Medicine and train young surgical resident physicians in training. I’m certain both Blalock and Thomas are smiling down from Heaven knowing that their procedure saved the life of the son of one of American’s most beloved comedians and humanitarians. 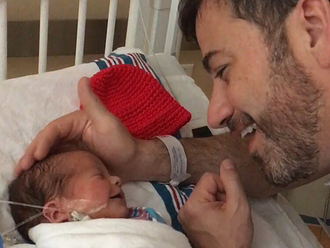 Kimmel’s stock rose exponentially in the accounting system of human integrity when he advocated for the continuance of the Affordable Care Act, citing his newborn son as an example of a child with a pre-existing condition. Aristotle got it right. As humans, “the whole is far greater than the sum of its parts.” Vivien Thomas saved lives through his gifted hands and that legacy saved the life of the son of one of America’s favorite sons. It doesn’t get any better than that.